Could your dry skin use some TLC? Better butter up with this softly floral beauty treatment infused with the captivating aroma of newly opened jasmine buds. Who knew hydrating could be so much fun and so beautifully fragranced? Ingredients: Water (Eau), Cetearyl Alcohol, Prunus Amygdalus Dulcis (Sweet Almond) Oil, Glycerin, Dicaprylyl Carbonate, Helianthus Annuus (Sunflower) Seed Oil, Coco-Caprylate/Caprate, Squalane, Dicaprylyl Ether, Butyrospermum Parkii (Shea) Butter, Persea Gratissima (Avocado) Oil, Cetearyl Glucoside, Ceteareth-33, Fragrance (Parfum), Xanthan Gum, Phenoxyethanol, Benzyl Alcohol, Butylene Glycol, Imidazolidinyl Urea, Potassium Sorbate, Lactic Acid, PEG-8, Jasminum Officinale (Jasmine) Flower Extract, Alcohol, Tocopherol, PEG-40 Hydrogenated Castor Oil, Ascorbyl Palmitate, Pyrus Cydonia Seed Extract, Vitis Vinifera (Grape) Seed Extract, Ascorbic Acid, Citric Acid. Smells Heavenly!!! I really wish they had a Jasmine perfume. Moisturizing and amazing smelling just like a real live Jasmine flower!!! Bought this as a gift for my mother. She loved it and I was sorry that I didn't get some for myself. Jasmine is light and really pretty - not overpowering. Highly recommended. 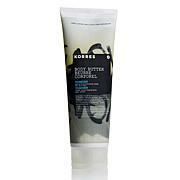 I like the feel and smoothness of the lotion and my skin after use but the jasmine scent is barely noticeable. Needs to have a stronger jasmine scent just not too strong. 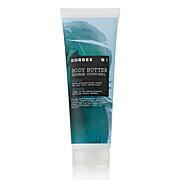 Korres Mulberry Vanilla Body Butter 7.95 fl. oz.